With 2.3 million workers living within a 45-minute drive of Pasadena, the City is accessible to a large and rapidly growing workforce. Our workforce combined with strong regional assets, a prime location next to Houston, and access to a deep-water port and 2 international airports, make Pasadena an ideal destination for new and growing businesses. 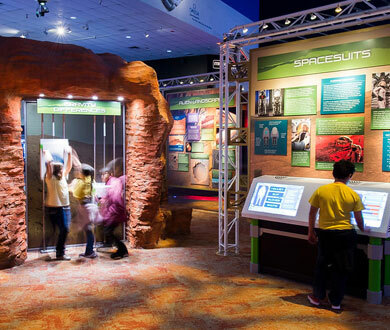 Pasadena has been competing with major cities to attract new developments, and consistently, the city has been winning. That’s because businesses recognize the city’s strong business climate. Our community is business-minded. It’s evident from the way that all sectors work together to bring companies here. In Pasadena, permits are issued in days or weeks, not months. Taxes are low, and so are the costs of utilities. The city government is not a faceless entity; they are a neighbor who you know by name, a partner working beside you to accomplish a goal. The city’s commitment to business has garnered more than just praise; it has earned the city awards. Pasadena was awarded the Texas Economic Development Council’s (TEDC) 2013 Community Economic Development Award (CEDA). The Community Economic Development Awards program recognizes excellence and the exceptional contributions of TEDC member cities toward the economic vitality of their communities and the State of Texas. 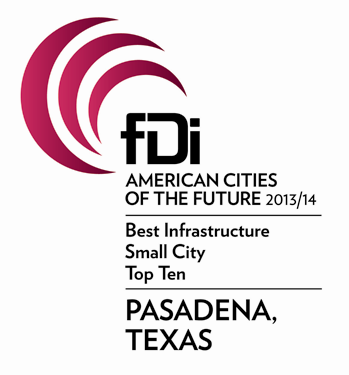 Pasadena was also named a “City of the Future” in the American Cities of the Future 2013/2014 ranking by fDi Magazine and the Financial Times. For the award, several hundred cities across North and South America were judged, and Pasadena was ranked fourth overall. Only one city in the United States placed higher.